Ultra Comfort "pull your hair back" band won't pinch, hurt or cause aches. 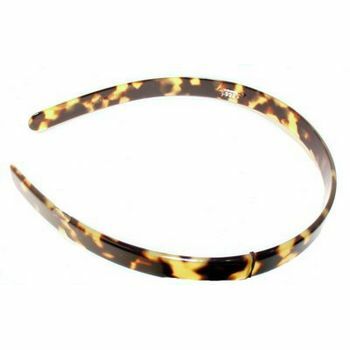 Simplicity in style & design are perfect answer to headband woes. 1/2" wide & band measures approx 8" from end to end. Soft acetate, hand made. 2 small set of teeth to anchor.